Set up your coals in a parallel configuration. 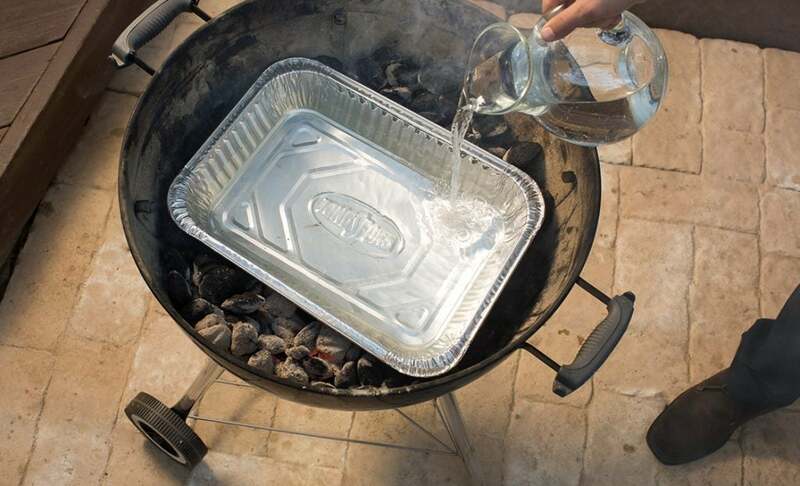 In this configuration, coals burn slowly in two rows on either side of the grill, with a water pan in the center to provide a moist environment and help stabilize temperatures. This configuration provides long, steady heat for grill-roasting your ham. Place the seasoned ham in the center of the grate, right over the water pan with the coals on either side. Put the lid on your grill and adjust your vents to maintain a temperature of about 325ºF. Add more coals as necessary. Since hams are already smoked, additional smoke wood is not essential, but you can add some if you like. Let your ham grill-roast for roughly 15 minutes per pound. Because the ham is already fully cooked, you just need to bring it up to temperature. 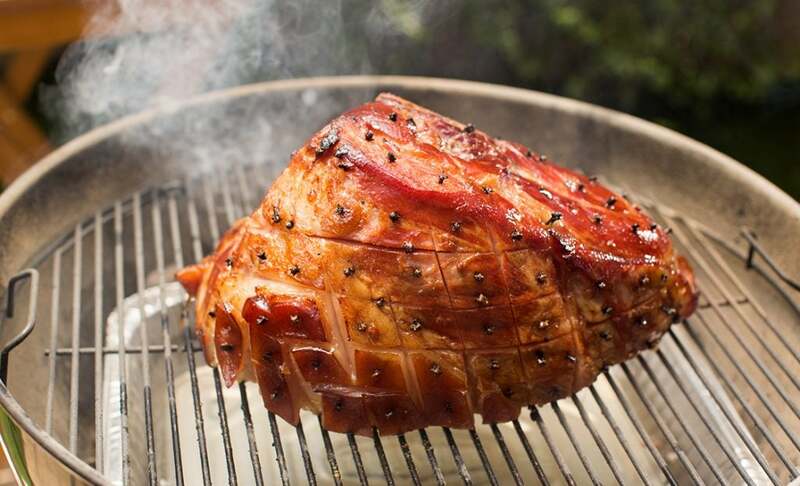 When the ham reaches about 49°C, it’s time for you to apply a sweet glaze, if you like. Glazes typically contain a dominant sweet element like honey or maple syrup, cut with mustard and often bourbon or whiskey. 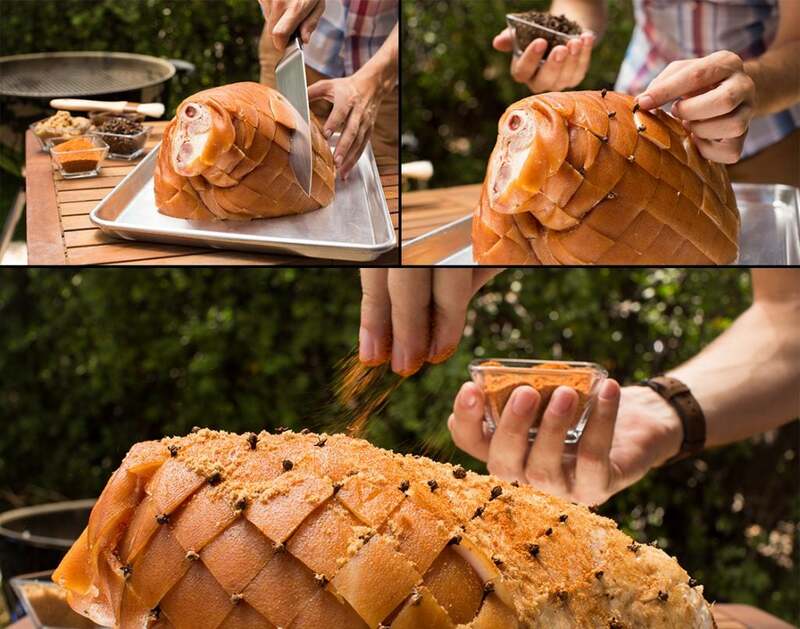 Brush the glaze on periodically until the ham reaches a final temperature of 57°C. 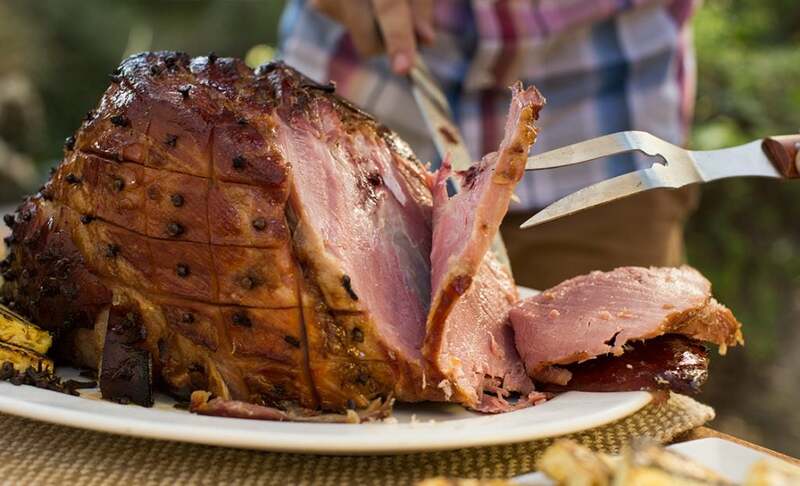 If you prefer to baste your ham, cook the ham in a foil pan to collect the juices for basting. Just don’t lift the lid to baste too often — it will cause temperatures to drop and increase your cooking time.